*Warning: The following contains minor spoilers to Marvel’s Black Panther. 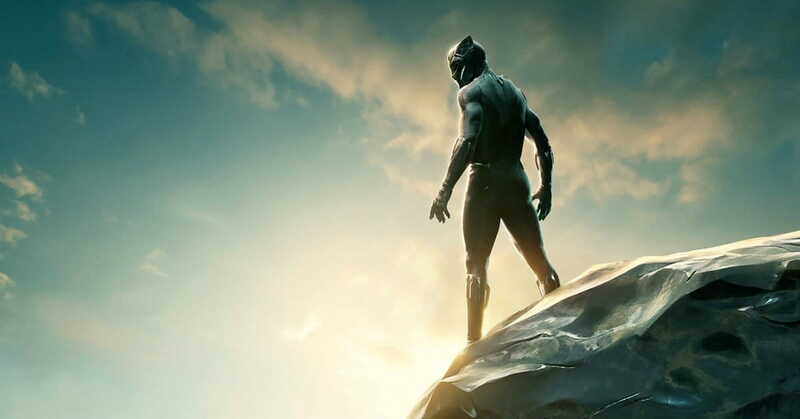 I know what you’re thinking, “What could possibly be said about Black Panther which hasn’t already been said?” Marvel’s latest foray into the Cinematic Universe was easily one of the most anticipated movies of 2018, and since its debut, Black Panther has absolutely mauled the box office competition. The film has been praised by critics and fans of all backgrounds, inspired countless articles about the dangers of inequality, and reminded viewers how great stories can help build bridges. There’s so much to take in, and plenty which has already been discussed. For my part though, I’d like to focus on a specific audience which could benefit from the lessons found in Black Panther: the Church. Even before its release, Black Panther had garnered a huge following thanks to its representation of Africans, woman, and people of color. T’Challa isn’t just a superhero, he’s also a king and an ambassador for his people. His sister Shuri is brave, intelligent, and funny, while the Dora Milaje are warriors who epitomize power and dedication. Each character is proud of their heritage and of who they are. They’re the type of heroes who inspire audiences down to their bones. While the Church has long championed the virtues of equality and fellowship (Galatians 3:28), our representation of minorities has typically been less than stellar. In recent years we’ve even drawn criticism for how (ahem) monochromatic our leadership appears. It’s not enough for minorities to be present in our congregations, they need to know they have a voice, and they need to know that voice is heard. If the Church cannot provide this, then what right do we have to call each other brothers and sisters? One of the central themes of Black Panther is how our actions can have powerful and long-reaching consequences. Early on in the film, viewers witness how the previous Black Panther (T’Challa’s father) did something terrible in order to protect his country. He thought he made the right decision, but his mistake ultimately returns to wreak havoc on his family. Rather than admit any fault, those involved continue to make excuses for their actions. Only once T’Challa confronts them is peace finally restored to the kingdom. The Church is responsible for some of the greatest moments throughout history, be we’ve also been complicit in some of the worst. Even today, many Christians try to hide their mistakes out of personal embarrassment or fear it will impact our cultural standing. Yet scripture teaches there can be no healing without truth (James 5:16), and a Church that doesn’t acknowledge its mistakes is doomed to repeat them. If Christians hope to be meaningful disciples for Christ, we must first have the courage to admit when we’re wrong. In the Marvel Universe, a substance called vibranium has allowed humans to achieve super-level feats. Vibranium is what makes Captain America’s shield unbreakable, and Black Panther’s Wakanda has thrived technologically thanks to an abundance of this rare metal. But the substance has also become an idol to the people of the region. It’s the foundation on which their entire society rests, and their greatest fear is losing control of this precious resource. So you can imagine how bad things get when disaster finally strikes. Idols have a way of infiltrating our lives, and the Church is no exception. In a recent interview on Britain's "This Morning" show, Letitia Wright, who plays Princess Shuri in Black Panther, recalled how acting became an idol for her at one point. After stretching herself too thin, Wright eventually realized she needed to take a break and rediscover her Christian faith. What idols have usurped the place of God in your life? Politics? Money? A specific cause? Beware of building your life on a foundation of sand (Matthew 7:24-27). The fictional country of Wakanda is certainly a sight to behold in Black Panther. A futuristic metropolis brimming with sound and color, its people have long enjoyed a history of prosperity. However, their thriving society has come at a cost. Throughout the film viewers see how Wakanda has turned its back on the world. Its affluence has made their leaders petty and fearful. Rather than reaching out to help those in need, the country chooses to put itself above others. Ultimately, this decision paves the way for a villain like Killmonger to seize control and bring out the worst in his people. Christians are frequently told we are, “salt and light to the world” (Matthew 5:13-16). We are the peacemakers, we are the world’s spiritual guides, and we are the good guys who will stand up to injustice. See where this is leading? Like Wakanda, we can become so consumed by our own self-interest that we shut the door on those in need. Instead of meeting our neighbors we shun them, and instead of helping those in need, we turn them away in the name of self-protection. That is not the way Christ called us to live.